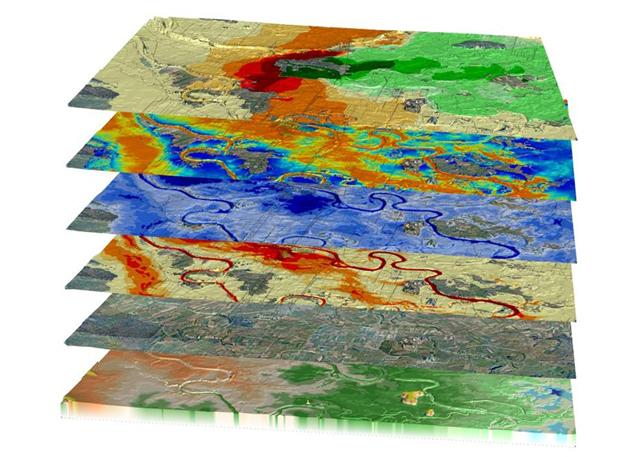 Optical Remote Sensing is an emerging and complementary technology among non-conventional geophysical methods for oil & gas exploration and for mineral prospecting, able to detect long-term biochemical and/or geochemical surface alterations caused by invisible small seeps of light hydrocarbons migrating from hydrocarbon accumulations to the surface. This phenomenon is known as microseepage. Microseepage is an invisible small flux of light hydrocarbons not able to produce any visible surface accumulation; However, several authors [1-3] have reported that microseepage can generate long-term biochemical and/or geochemical and/or botanical surface alterations, such as reduction from ferric to ferrous oxide (FeO), alteration of carbonate cements, as well as alteration of clay minerals. Vegetation may show stress-related symptoms in its spectral signature related to long-term exposition to microseepage. These invisible signals can be detected and monitored with Remote Sensing. In particular, satellite’s imagery is able to give a quick and cost-effective preliminary assessment of new ventures, and can quickly assess large areas in a short time and cost-effectively. Many large oil & gas companies like Eni [1-3], Petrobras [4-6], Shell [7-9], Gazprom , Sinopec , Repsol , PetroChina , or ExxonMobil , have increased their interest in Remote Sensing technologies. Thus, even if this technology cannot directly detect the presence of underground hydrocarbon accumulations, nevertheless Remote Sensing can support the discovery of active petroleum systems by seeking for microseepage signals. M. Gianinetto, F. Rota Nodari, F. Frassy, A. Marchesi, P. Maianti, P.G. Biffi, and R. De Paulis, “Supporting hydrocarbon exploration in new venture areas with optical remote sensing,” Proceedings of the 26th GRSG Conference ‘Challenges in Geological Remote Sensing’, 2015. F. Frassy, P. Maianti, A. Marchesi, F. Rota Nodari, G. Dalla Via, R. De Paulis, P.G. Biffi, and M. Gianinetto, “Satellite remote sensing for hydrocarbon exploration in new venture areas,” Proceedings of the 2015 International Geoscience and Remote Sensing Symposium (IGARSS 2015), pp.1-4, 2015. I. Del’Arco Sanches, C.R. Souza Filho, and R.F. Kokaly, “Spectroscopic remote sensing of plant stress at leaf and canopy levels using the chlorophyll 680 nm absorption feature with continuum removal,” ISPRS Journal of Photogrammetry and Remote Sensing, vol. 97, Elsevier, pp. 111-122, 2014. T. Lammoglia and C.R. 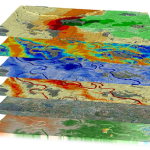 Souza-Filho, “Unravelling Hydrocarbon Microseepages in Onshore Basins Using Spectral-Spatial Processing of Advanced Spaceborne Thermal Emission and Reflection Radiometer (ASTER) Data,” Surveys in Geophysics, vol. 34, Springer, pp. 349-373, 2013. R. Almeida-Filho, “Remote detection of hydrocarbon microseepage-induced soil alteration,” International Journal of Remote Sensing vol. 23, Taylor & Francis, pp. 3523-3524, 2002. M. van der Meijde, N.M. Knox, S.L. Cundill, M.F. Noomen, H.M.A van der Werff, and C. Hecker, “Detection of hydrocarbons in clay soils: A laboratory experiment using spectroscopy in the mid- and thermal infrared,” International Journal of Applied Earth Observation and Geoinformation, vol. 23, Elsevier, pp. 384-388, 2013. M. F. Noomen, K. L. Smith, J. J. Colls, M. D. Steven, A. K. Skidmore, and F. Van Der Meer, “Hyperspectral indices for detecting changes in canopy reflectance as a result of underground natural gas leakage,” International Journal of Remote Sensing vol. 29, Taylor & Francis, 5987-6008, 2008. F. Van Der Meer, P. Van Dijk, H. Van Der Werff, and H. Yang, “Remote sensing and petroleum seepage: a review and case study,” Terra Nova, vol. 14, Wiley, pp. 1-17, 2002. Y. Baranov, M. Vanyarkho, and D. Filatov, “Prospecting and exploration of hydrocarbon fields by earth remote sensing methods,” Proceedings of the 2012 World Gas Conference, 2012. L. Zhang, G. Bai, and Y. Zhao, “Data-processing and recognition of seepage and microseepage anomalies of acid-extractable hydrocarbons in the south slope of the Dongying depression, eastern China,” Marine and petroleum geology, vol. 57, Elsevier, pp. 385-402, 2014. G.A. Barberes, M.T. Barata, R. Pena dos Reis, P.E. Fonseca, and N. Pimentel, “Integrated remote sensing data for hydrocarbon emanations detection applied in South Portuguese Zone, Portugal”, Proceedings of the 26th GRSG Annual Conference ‘Challenges in Geological Remote Sensing’, 2015. T. Qingjiu, “Study on oil-gas reservoir detecting methods using hyperspectral Remote Sensing,” Proceedings of the XXII ISPRS Congress, pp. 157-162, 2012.XXII ISPRS Congress, 25 August – 01 September 2012, Melbourne, Australia. J. M. Ellis, H. H. Davis, and J. A. Zamudio, “Exploring for onshore oil seeps with hyperspectral imaging,” Oil & Gas Journal vol. 99, pp. 49-58, 2001. Capitale sociale 10'000 EUR i.v.